AS DEFINED BY the executive branch of the U.S. government, homeland security is “a concerted national effort to prevent terrorist attacks within the United States, reduce America’s vulnerability to terrorism, and minimize the damage and recover from attacks that do occur” (July 2002 National Strategy for Homeland Security, issued by President George W. Bush). In more simple terms, the primary end of homeland security is to secure the nation’s borders. This is not to say, however, that the concept of homeland security is well defined or clear at all times. Much debate has occurred, particularly around the establishment of the Department of Homeland Security within the U.S. government, over the exact definition of homeland security and what types of both domestic and international issues are contained within such a concept. Further, the ultimate goal of homeland security is not always clear and may change over time, including at any one point in time prevention of terrorist attacks and/or minimization of harm that may occur as a result of such attacks. Both concepts seem to fall within the overall goal of “homeland security,” but each has different organizational and resource requirements, and each impacts multiple governmental agencies and offices in a different manner. 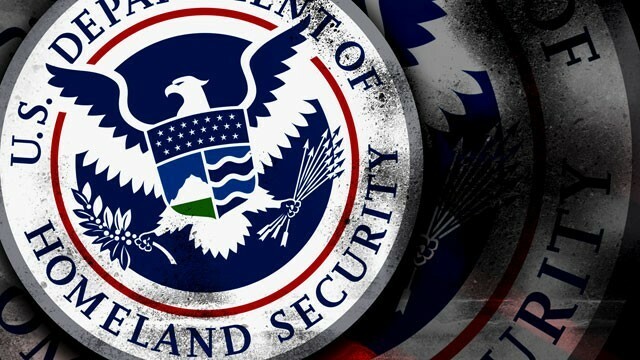 Although the concept of homeland security has taken on a new sense of immediacy and familiarity, the idea of providing for homeland security or national security has a historical foundation within the UNITED STATES dating as far back (as an identifiable concept) as the Federalist papers. As noted by Harold Relyea, both John Jay and Alexander Hamilton wrote about “national security” in the Federalist papers, Hamilton suggesting that during war, “the energy of the Executive is the bulwark of the national security.” As Relyea observes, however, the concept of national security truly took shape during the period between World War I and World War II, when the idea of a need for a unified, national interest in securing the nation and a national approach to foreign policy was blossoming. The concept of homeland security has become most well known within the context of the post-September 11 landscape of the American government. Following the terrorist events, on October 8, 2001, through an executive order, Bush established the Office of Homeland Security to carry out this national strategy, appointing former Pennsylvania Governor Tom Ridge as assistant to the president for Homeland Security. In the immediate aftermath of September 11, the concept of homeland security was a symbolic, idealistic belief in the need to provide security for the nation. Over time, however, the concept took shape in the form of concrete policy decisions issued by Congress and the president himself. Ultimately, in June 2002, Bush sought to make homeland security a permanent, established part of the federal government, proposing the creation of both a Department of Homeland Security and an executive office of the president devoted to certain aspects of homeland security, namely the National Office for Combating Terrorism, the most extensive reorganization of the federal government since the Harry Truman administration of the 1940s. In July 2002, Bush released a National Strategy for Homeland Security outlining his vision for securing homeland security and the role that the new department was to play. This strategy outlines the definition for homeland security provided above and identifies four foundations intended to help maintain homeland security: law, science and technology, information sharing and systems, and international cooperation. Each area or foundation is given a role in providing homeland security in the post-September 11 arena. As these foundations indicate, providing for homeland security impacts more than simply the federal-level agencies. It is a highly decentralized mission, which impacts both the federal and the state government, from the national down to the local level. By recent estimates, nearly 70 federal agencies alone are involved in some aspect of homeland security, and one can imagine hundreds of state and local agencies and offices likewise impacted.